Lightly whisk egg white and add mustard, sugar, cayenne and salt to taste. 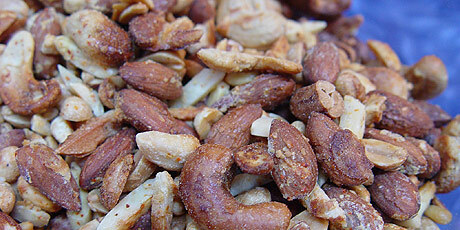 Add nuts and toss well to cover. Spread out onto a baking sheet. Bake for 15 minutes, or until nuts are lightly browned. 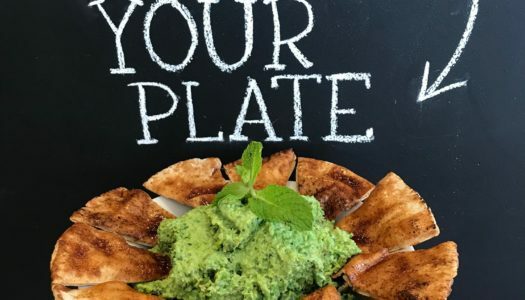 Hummus is most often made with dried legumes like chickpeas but it’s just as delicious whipped up with fresh, green peas. Especially when it’s brightened with lots of spicy flavour balanced with cool mint. And what better dipper for dipping such dip than a crispy pita chip? What a great way to fill Half Your Plate with fruits and vegetables! 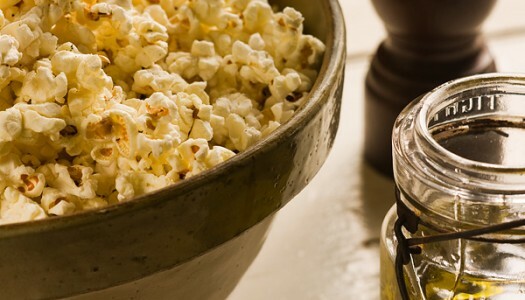 Popcorn is the perfect snack. It’s whole-grain healthy, addictively tasty and easy to experiment with. It’s traditional to toss it with lots of melted butter, but you’ll find that olive oil works just as welland it’s a lot better for you.